Manchester United will play Hull City today in the semi-final stage of the EFL Cup. 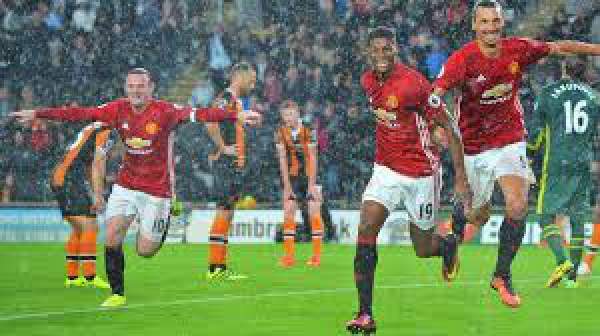 It is the first leg between Man United and Hull C. In the game, Manchester Utd will try to take advantage of the home ground. Both teams play in the Premier League. Man Utd are sixth on the table with 39 points from 20 games. On the other hand, we have H City who is last on the table with 13 points from 20 matches and are really struggling to survive in the league now. Man United are currently in their best run since 2009, winning eight games in a row. They have six wins in their last six games in the league and are unbeaten in their last 11 games in the league. They are the only Premier League team to remain in four competitions, Premier League, FA Cup, EFL Cup and the Europa League. They are going strong in the FA Cup too as they won their third round stage against Reading by 4-0. United played a younger squad with Rashford and Martial upfront. With no Pogba, Ibrahimovic, Mkhitaryan, David De Gea, Ander Herrera and Eric Bailey who has left for African Cup of Nations, they played very well. Wayne Rooney equaled the record for most goals at ManchesterUnited with the great Sir Bobby Charlton. HullCity is struggling in the league as they are last on the table and three points away from safety. They have scored just 17 goals this season in the league and needed to improve that; Zlatan Ibrahimovic has 18 goals in all competitions this season. H City has to be very clinical in their performance if they want to compete against this inform United. Although they recently played in the third round of the FA Cup against Swansea City and won the game by 2-0 ton move further in the competition. Abel Hernandez and Josh Tymon scored for Hull C.
Man United are on fire lately and can win this one easily.